Is Local SEO Important for My Dental Office? There are essentially two main types of search engine optimization. They is local SEO (which strives to drive local traffic to local businesses) and national SEO (which strives to drive SEO from anywhere in the country to a business’s website). As a dentist, you probably already know that most of your patients live in the same area as your office. Most dentists service only their immediate area and most people look only for dentists in their local area, making local SEO usually far more important than an overarching national SEO program. But are there situation is which a larger, more generalized SEO plan is necessary, either as a replacement for or an addition to a local SEO strategy? Let’s look at the role of local SEO for dentists and broader SEO for dentists and how they might be able to work together to bring you more patients. 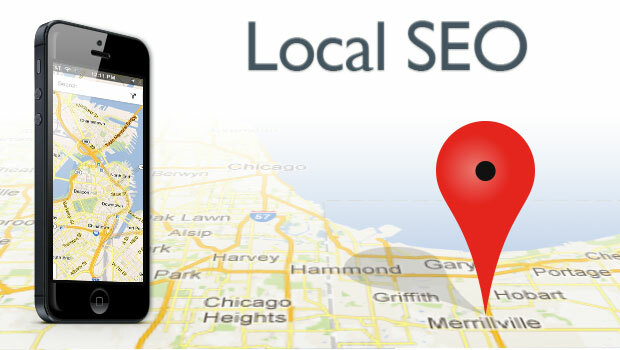 Local SEO should help bring people from your local area to your office. Instead of targeting people who are simply searching for “dentists,” you are targeting people searching for “dentists in Philadelphia” or “dentist in Newark,” for example. While Google will usually show searchers local results before non-local results when they use this search engine to search the internet, most people will still use their location when looking for a service in their local area. This is great for local SEO strategies, who use keywords that include the name of your city, country, or state (if it’s a small state like Rhode Island), in order to attract the searchers who use those terms. Local SEO also makes use of local directories and social media pages in order to help people find businesses in their local areas before being directed to businesses that they cannot easily reach by car or transport. In short, because a search engine’s goal is to bring a user the most relevant search results possible, local SEO’s job is to make your dentist office’s website appear to be the most relevant result possible for any searches for local dentists. And with the right keywords and implementation strategy, it is not difficult to get onto the front page of local search results. If this is the case, why would you ever need a more generalized search engine optimization plan? Remember, a search engine wants to present its users with the most applicable, relevant results it can. Crawlers like Google know that there are some searches for which local results are automatically going to be more useful and relevant than nationwide or worldwide results. For this reason, search engines have gotten great at presenting their searchers with local results even if that searcher does not actually use a local search term. This is especially true of searches for services like doctors, dentists, restaurants, etc. If you go to a search engine right now and type in just the word “dentist” you are likely to see not only a search suggestion that includes your town or city, but results that are tailored to your location, e.g. the websites of local dentist offices. This can mean that while you may have great local SEO, if you’re not also optimized for SEO in general, you might not be topping all of the important search results. It’s not just laziness, it’s an understanding that doing either will still bring them the results they need. This means that you should neither abandon your local SEO strategy nor forget to implement a more generalized SEO strategy. While your focus should largely still be on local SEO, as this can boost both types of page rankings, you do not want to neglect more generalized keywords. Obviously, you will have the word “dentist” plenty of times on your page—this isn’t going to do the trick. Including more targeted keywords, especially those having to do with the procedures that you perform in your office, can be of great benefit to you. They are looking for someone to drill and fill a cavity, put on a new crown, do an implant, provide braces or invisalign, etc. Tailoring your keywords to include these sorts of phrases can be extremely useful and can help bring people to your website who are more likely to actually call you and schedule an appointment; they are not just looking for a dentist for some time in the future—they have a direct need that should be addressed soon. Dentists are very lucky that they can implement a local SEO strategy and bypass much of the work that businesses who want to find customers all over the country or world have to do in order to get to the top of relevant search results. An effective local SEO plan can bring you dozens of new patients every month, which can really make a difference when it comes to your bottom line. You shouldn’t, however, become so focused on the local search engine optimization that you forget that some people will not be using those search terms. Your keyword portfolio should be like a stock portfolio: heavily diversified. This can also help you catch patients from surrounding towns and cities that might be willing to drive a little bit farther in order to take advantage of a great dentist’s office.